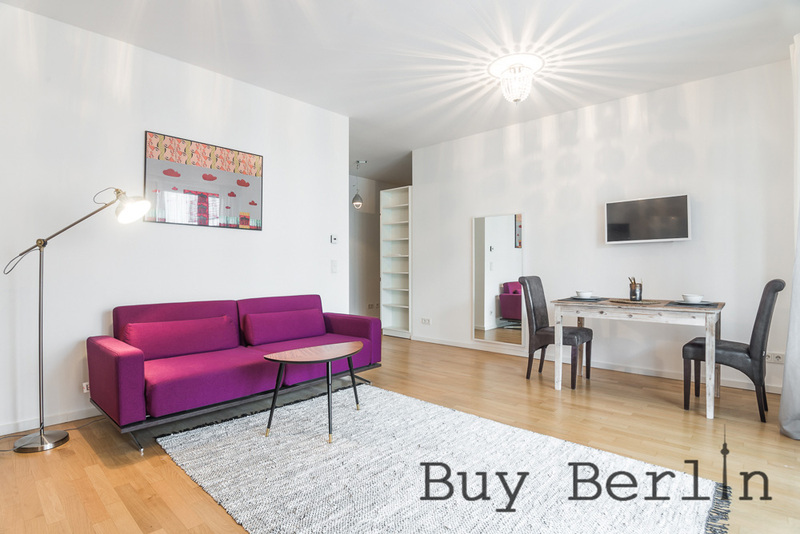 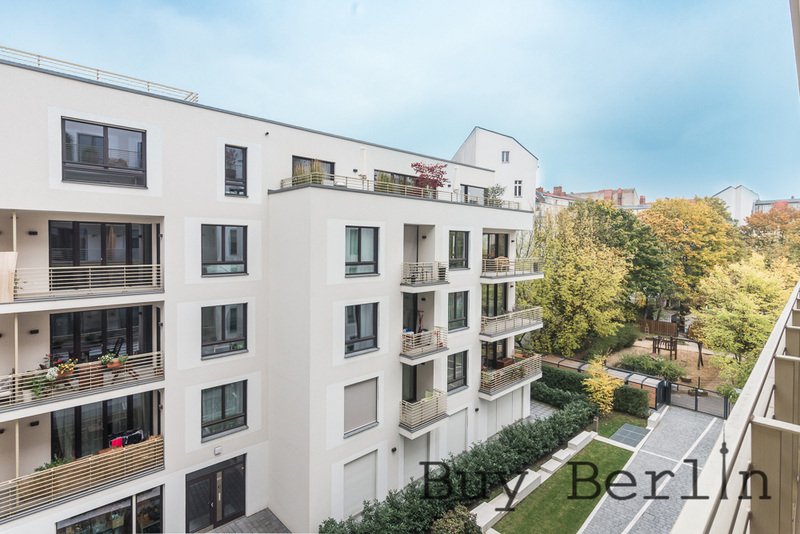 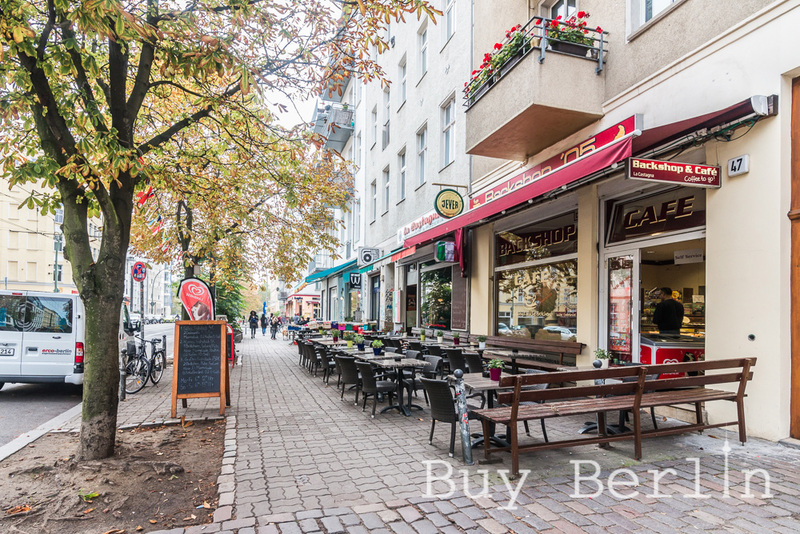 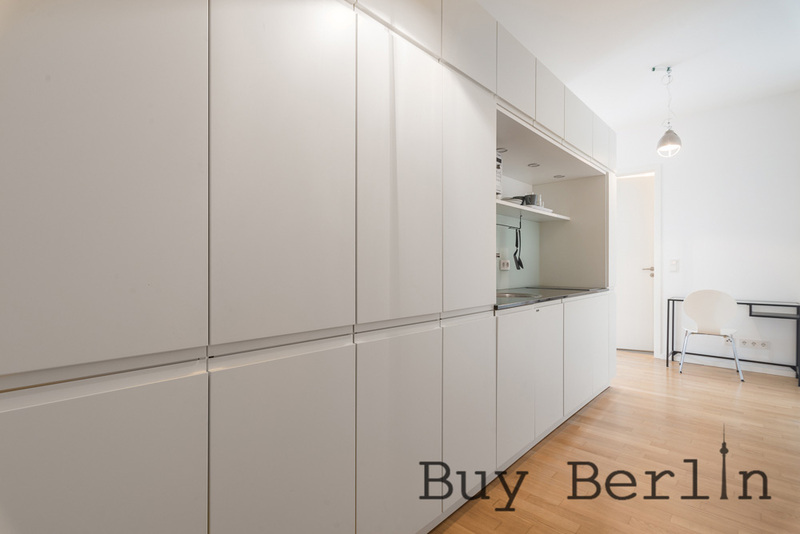 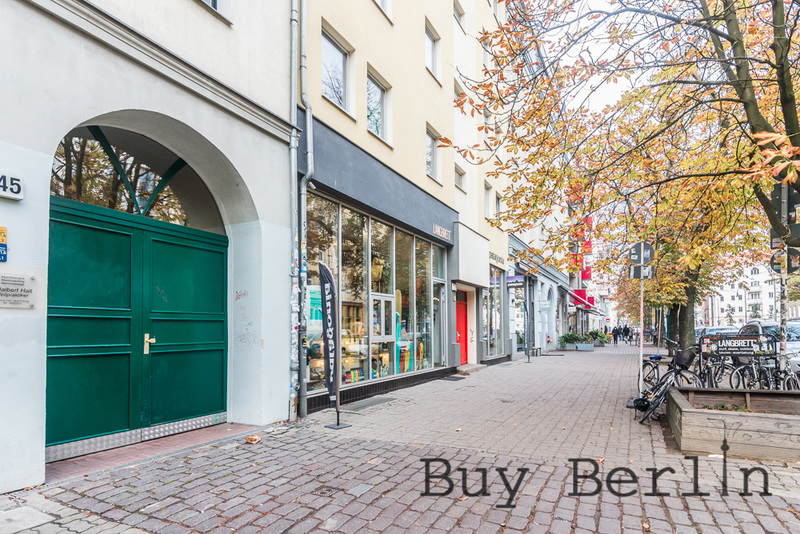 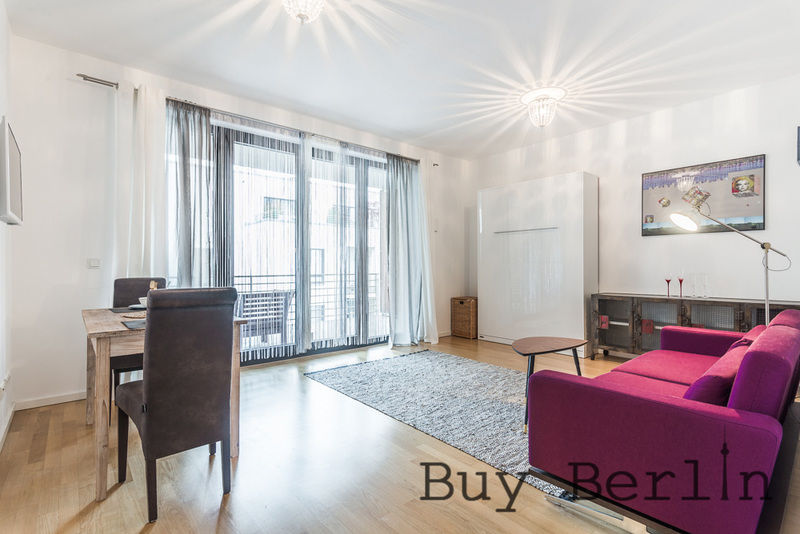 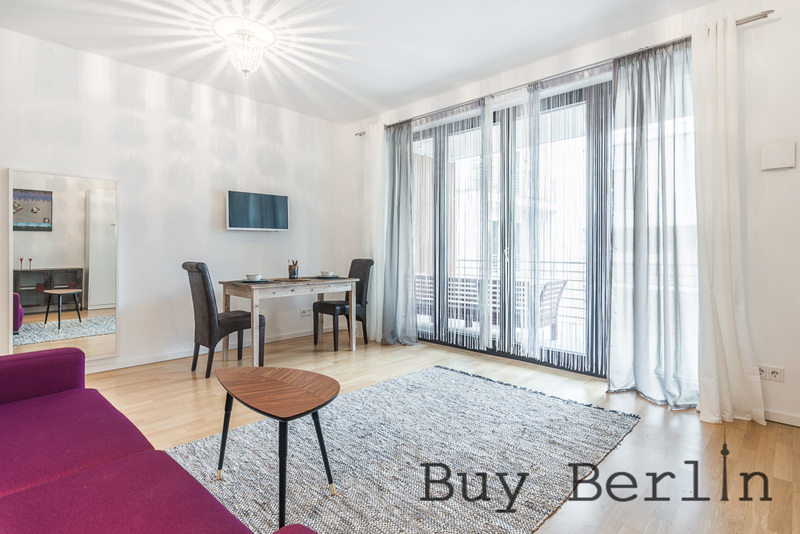 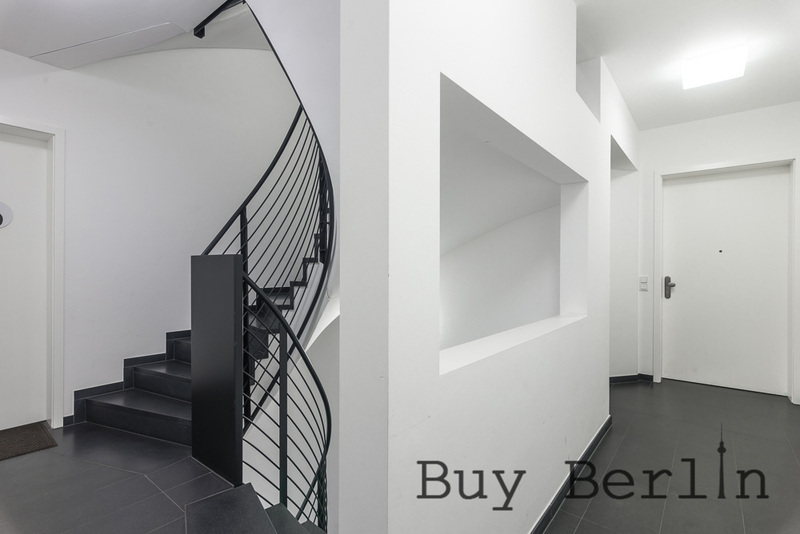 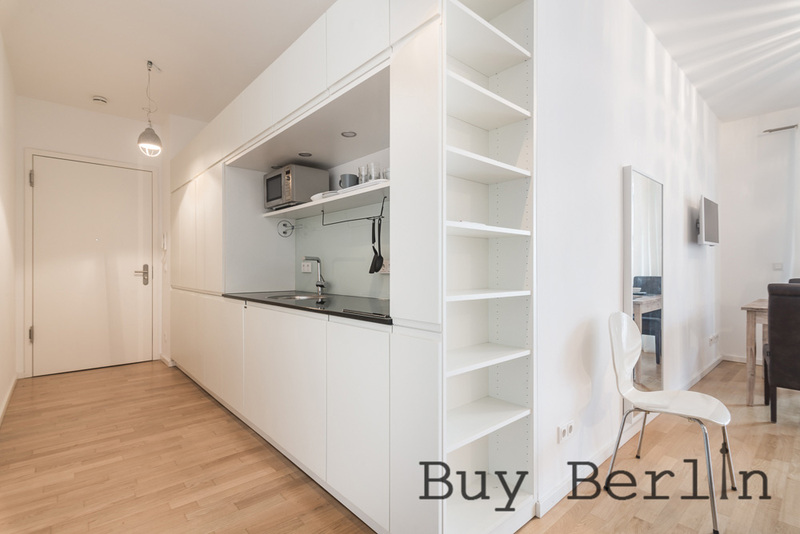 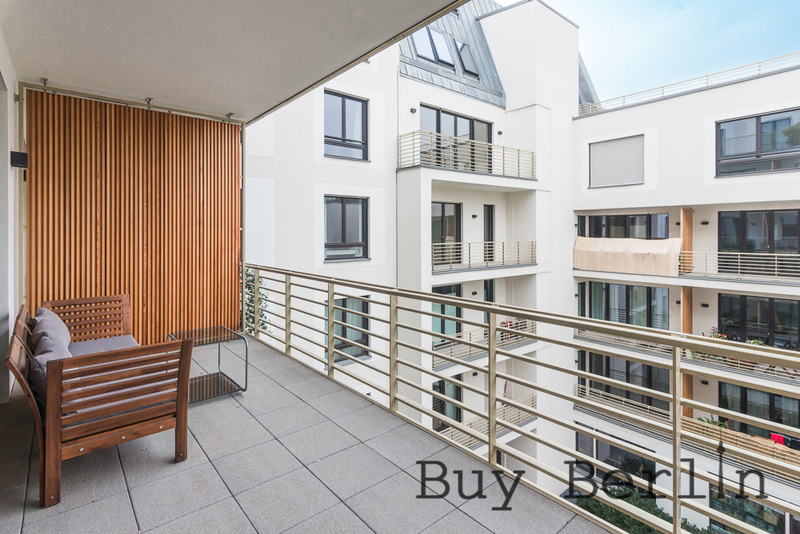 This superlative studio apartment offered for rent is located on the 3rd floor of the house in Berlin-Mitte and faces a gorgeous and quiet landscaped courtyard. 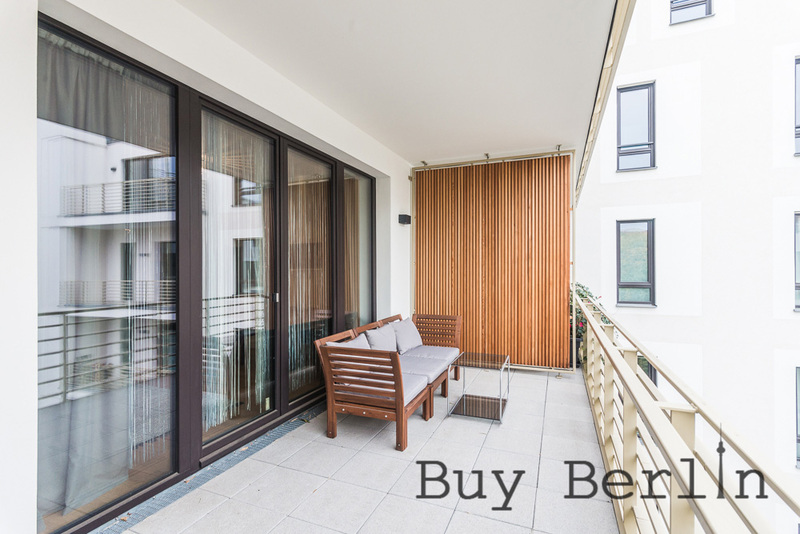 The highlight of this 47-sqm apartment is the terrace. 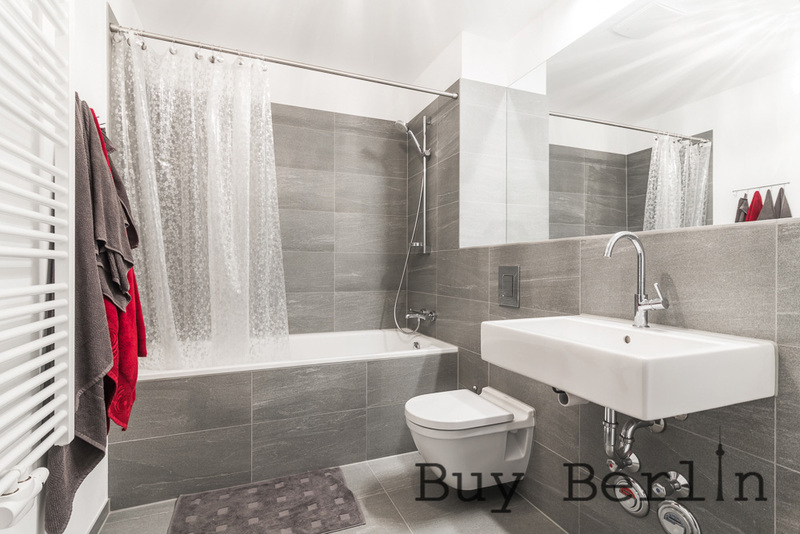 The condo’s exclusive interior ambiance is inspired not least by floor-to-ceiling heights of around 2.80 m, the high-end oak parquetry, the underfloor heating, and a bathroom featuring high-end branded fixtures. 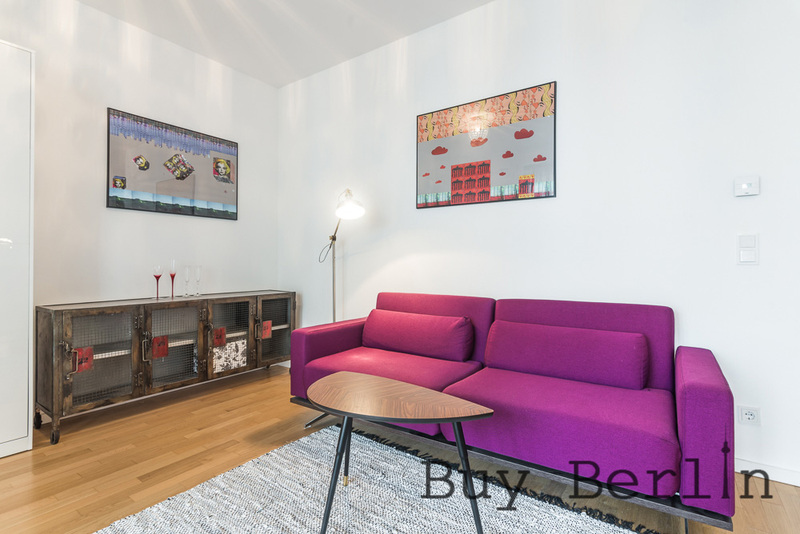 They apartment includes a pull-down Murphy bed and a sofa bed. 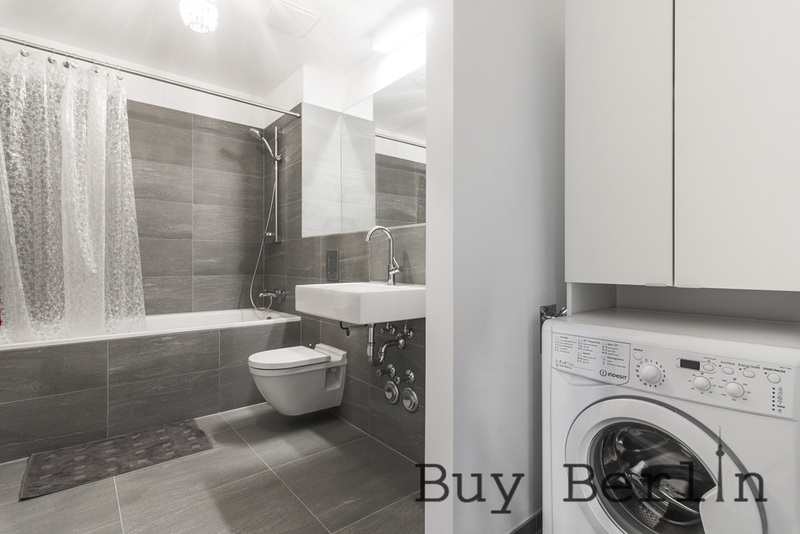 It is fully furnished and includes heating and Internet. 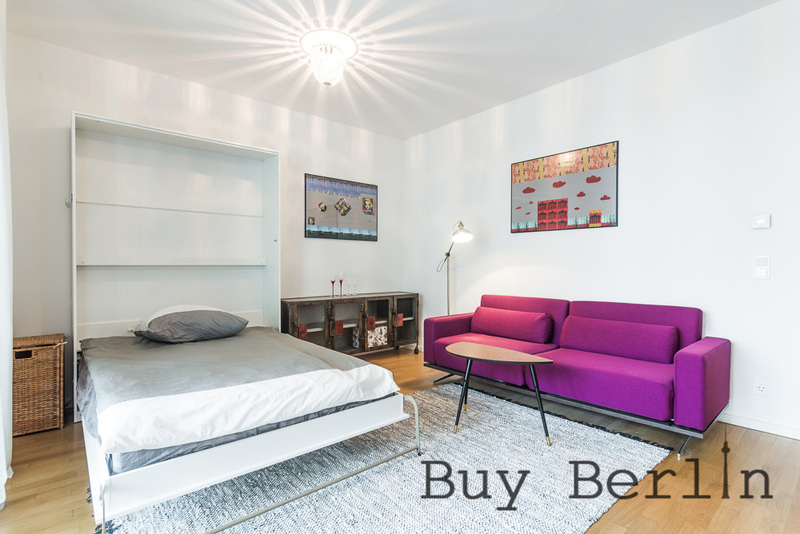 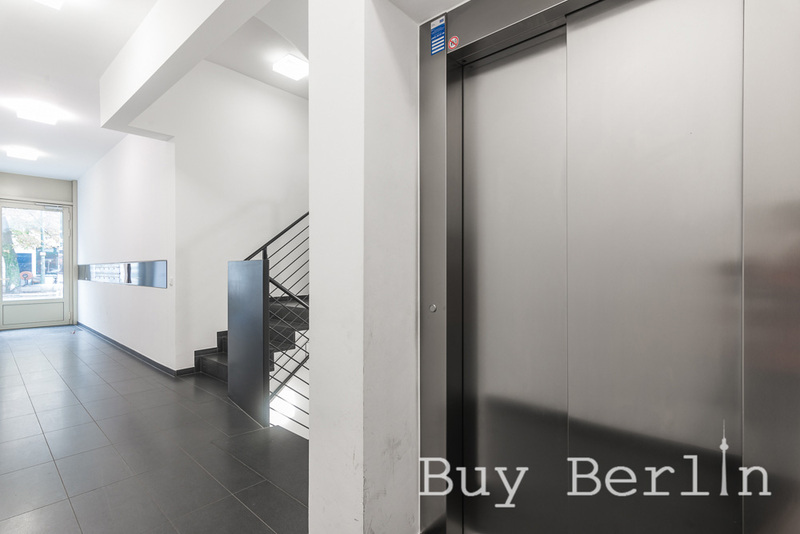 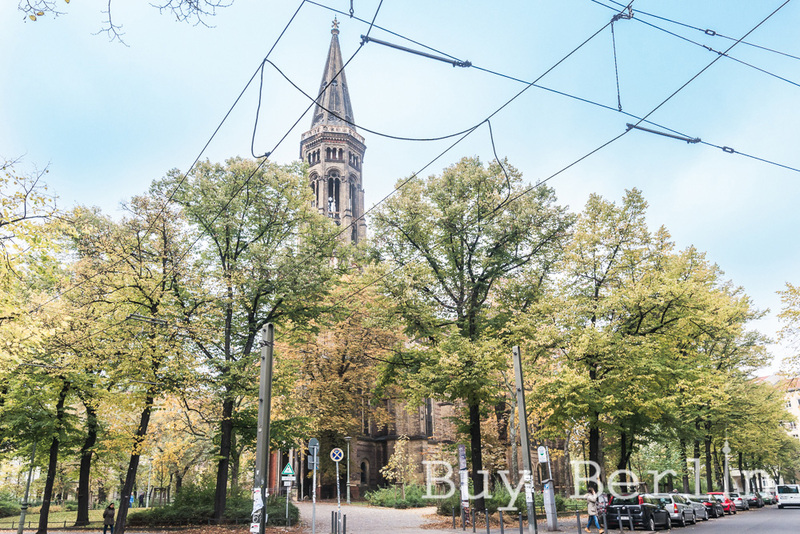 It is perfect for a couple or single professional looking for a studio in the most sought-after and central part of Berlin.